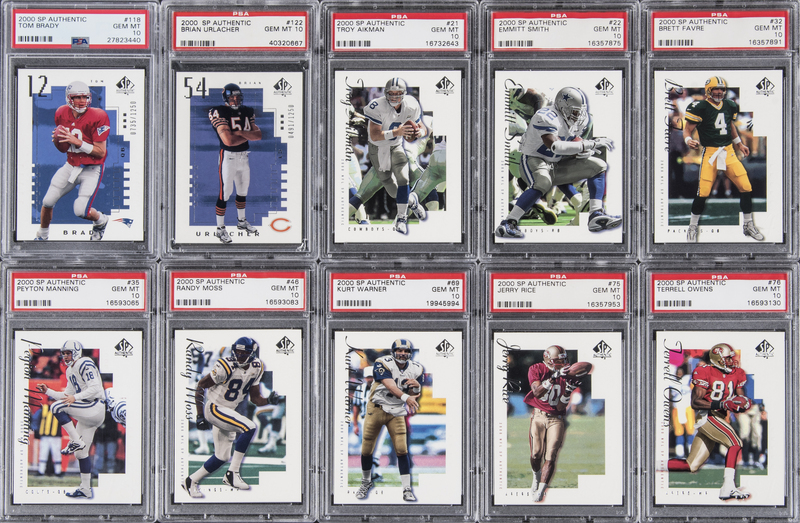 Lot Detail - 2000 SP Authentic Football PSA GEM MT 10 Complete Set (171) Including Tom Brady Rookie Card! – Tied for #1 on the PSA Set Registry! 2000 SP Authentic Football PSA GEM MT 10 Complete Set (171) Including Tom Brady Rookie Card! – Tied for #1 on the PSA Set Registry! Each card has been graded GEM MT 10 by PSA. 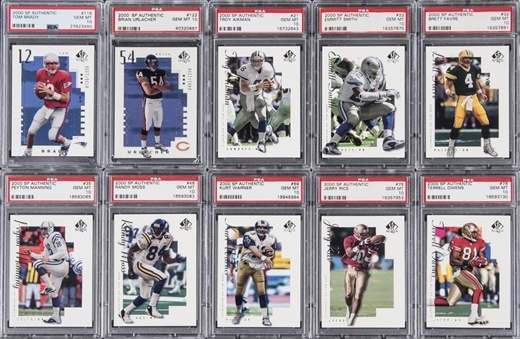 Presented is a 171-card complete set of 2000 SP Authentic Football cards. With its unimprovable 10.0 GPA, this assembly is tied for "#1 Current Finest" placement on the PSA Set Registry! Our consignor spent more than ten years building this breathtaking set! This painstaking and dedicated, long-term effort required the completion of many targeted, individual card sales, as well as carefully poring through literally thousands of PSA card submissions. Nearly one-third of this unimprovable assembly carries distinction as "Pop 4" (33 total examples) or "Pop 5" (21 total examples). 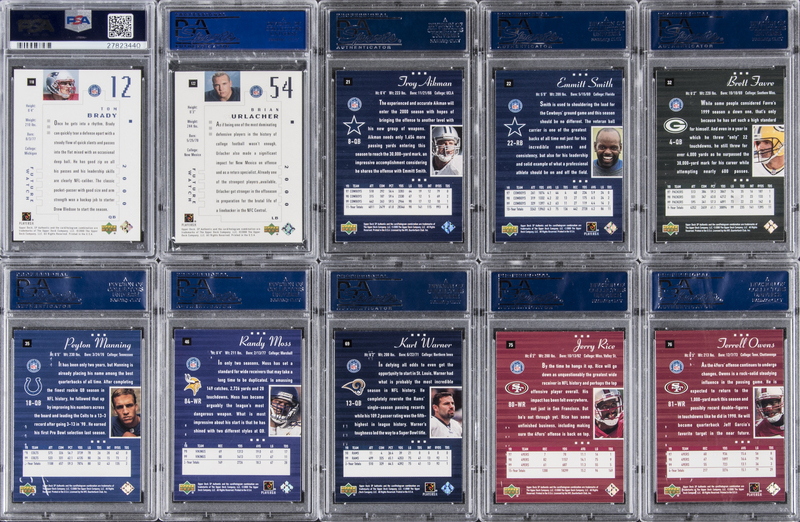 Highlights of the incredible set include: #'s 21 Aikman, 22 E. Smith, 32 Favre, 35 Manning, 46 Moss, 69 Warner, 75 Rice, 76 Owens, 118 Brady (#0735/1250) and 122 Urlacher. This is a project that would be virtually impossible to duplicate in today's market, in stunning Gem Mint condition throughout.